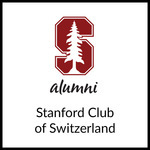 We are pleased to invite all of you to enjoy another joint evening with fellow members of the Stanford Club of Switzerland at the Widder Bar in Zurich on Tuesday, 28. November 2017 at 18.30. We would be delighted to see you at this evening event, where we can end the work day in a casual atmosphere with good company and conversation.